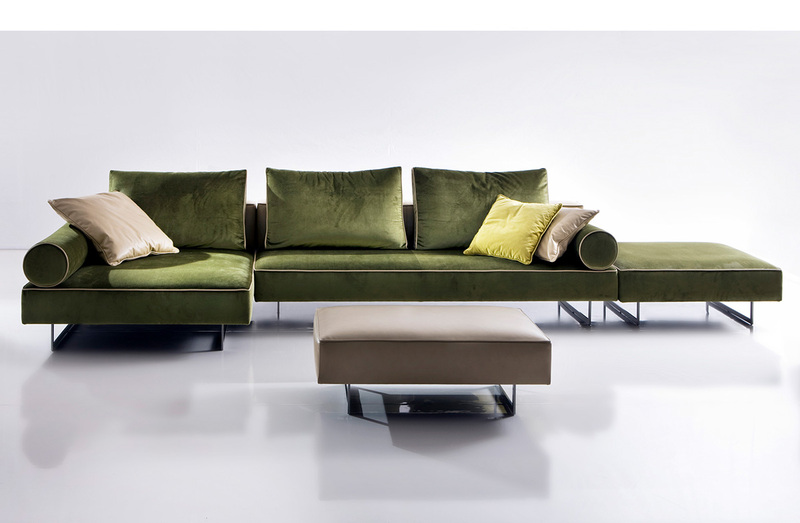 Modular sofa with open work legs in metal. Available to order in numerous layouts and dimensions. Please contact Usona directly for additional information on possible configurations.